Stay at Belmond Cadogan Hotel and you’re perfectly positioned to find endless things to do in London. Whether seeking to indulge in a little retail therapy, broaden your horizons at the many nearby museums and galleries, or sample the nightlife, we have a host of exclusive experiences and concierge recommendations. 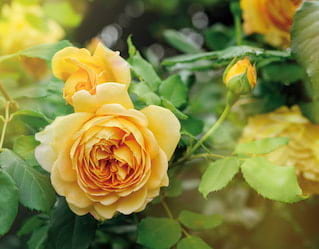 However you spend your time, magical memories are guaranteed. 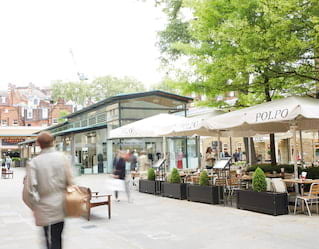 With our enviable position in the heart of one of the city’s most fashionable neighbourhoods, we’re the perfect starting point for a London shopping spree. Take the main exit out to Knightsbridge for big labels and luxury brands, including world-famous Harrods and Harvey Nichols. Or take the side exit and explore the boutiques, artisanal delis and quirky galleries of Chelsea. Speak to our concierge for tips on our favourite hidden gems. 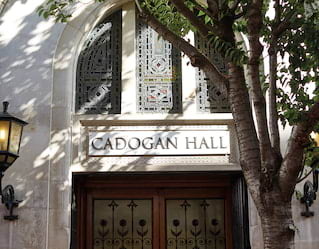 Set in the heart of Chelsea, boasting just 950 seats and exceptional acoustics, Cadogan Hall is the venue of choice for the world’s leading orchestras. There are also a variety of choral performances, contemporary concerts and ballet recitals held throughout the year. As members of the Cadogan Estate, we can ensure your evening is every bit as magical as the music. Once known as the Apothecary’s Garden, the Chelsea Physic Garden was established in 1673 and is London’s oldest botanical garden. It’s a captivating space just begging to be explored with friends or family. Throughout the grounds you can discover and learn more about some 5,000 different medicinal, herbal, edible, and useful plants. There are also a variety of events and workshops held throughout the year for those looking for a hands-on experience. Art lovers will rejoice at the world famous Saatchi Gallery, just a short walk away from Belmond Cadogan Hotel. Established less than 30 years ago, this stunning contemporary art gallery has always remained committed to showcasing the best undiscovered talent. 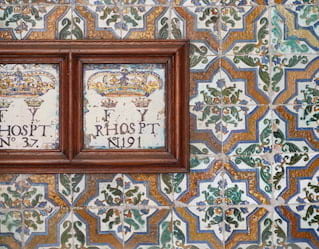 The gallery serves as a springboard, and has helped to launch the careers of artists like Damien Hirst and Tracey Emin. You’ll find fantastic exhibitions available year round. 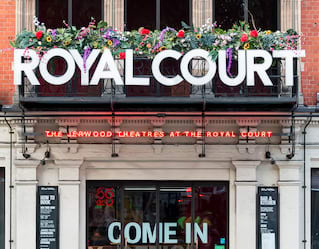 Just moments away from the hotel you’ll find the Royal Court. Acclaimed as ‘the writer’s theatre’, it is one of the city’s leading spaces for encouraging undiscovered and emerging talent from the writing sphere. Many big names, including Samuel Beckett and Ann Jellicoe, began their careers here. You’ll find a roster of fantastic shows available throughout the year. You’ll find tennis courts in Cadogan Place Gardens, a beautiful private green space reserved for Cadogan residents and hotel guests. They’re an ideal spot to challenge someone to a friendly game, or perhaps work on your serve. 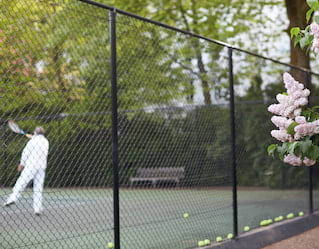 Speak to our concierge about reserving a court. We can also provide all the equipment you’ll need. London is the perfect start or end point to a luxury rail adventure aboard one of Belmond’s iconic trains. 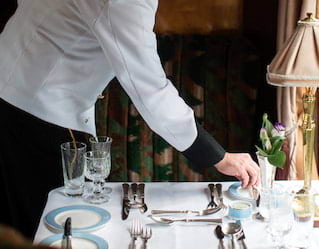 Departing from London Victoria station, the Belmond British Pullman sets off on gastronomic day trips to stunning destinations across the UK. Alternatively choose to join the world-famous Venice Simplon-Orient-Express and head further afield. The signature route takes you through Paris to Venice, while longer journeys will let you experience the wonders of Budapest, Vienna and Istanbul.